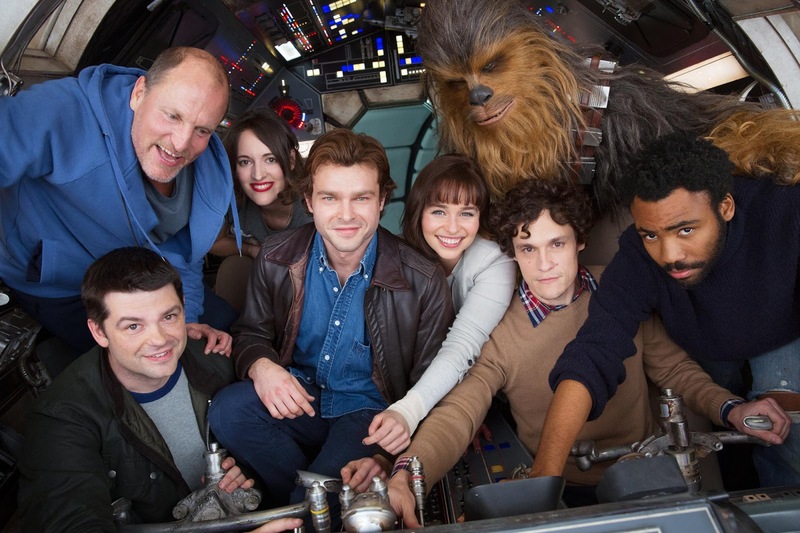 The former directors of Solo: A Star Wars Story have shared how they will be credited on the film they left over creative differences after shooting for several months. Phil Lord and Chris Miller, who were first announced as the directors of the young Han Solo film (now titled Solo: A Star Wars Story) spoke at the GLAS Animation Festival in Berkley today and revealed what many have been wondering since they left the project back in June of last year. "We were really proud of the many contributions we made to that film. In light of the creative differences, we elected to take an executive producer credit." Ron Howard was brought in to replace Lord and Miller shortly after their departure in June 2017. The duo, who are best known for The Lego Movie and 21 Jump Street, had begun principle photography on the film several months earlier in January. They left the project with just weeks of filming left to be completed, however Howard reshot much of this when he was brought in a few weeks later. "I think these guys are hilarious, but they come from a background of animation and sketch comedy and when you are making these movies you can do that and there’s plenty of room for improvisation, we do that all the time, but it has to be inside of a highly structured process or you can’t get the work done and you can’t move the armies of people to anticipate and have things ready. So, it literally came down to process. Just getting it done." "I think everybody went in with really good intentions and our approach to making the movie was different than theirs. That was a really big gap to bridge, and it proved to be too big." "I don’t really want to explain it. I don’t really want to be specific about that because, again, I don’t even want that to matter to fans. I could understand why you’d ask, and some might even be curious, but look, everybody who has been involved in this has done nothing but love what this movie could be, and that’s been the vibe around it. I think audiences are gonna feel that love and excitement." Despite what Howard says, who shot what will almost assuredly become a game fans play following the film's release in theaters and for quite sometime afterwards.